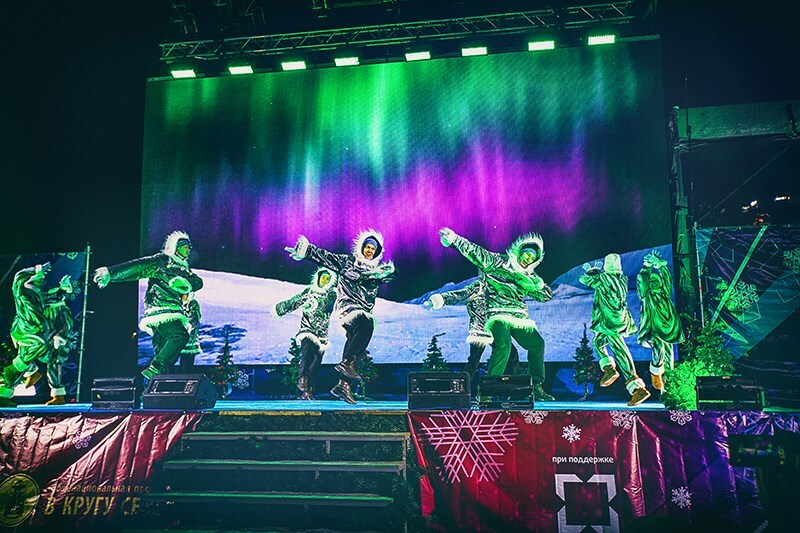 A total of 16 pcs of P-5 LED wash lights played a crucial role in the festival Moscow Ice. In the Family Circle, which was a huge ice installation in Moscow’s Victory Park (Park Pobedy). 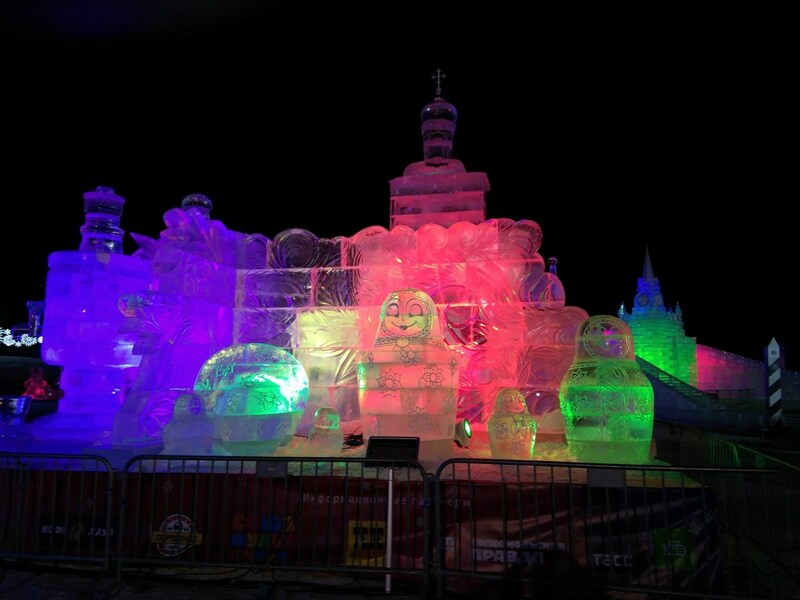 The festival represented landmarks from Russian cities such as Moscow, Crimea, St Petersburg, Volgograd and Vladivostok. 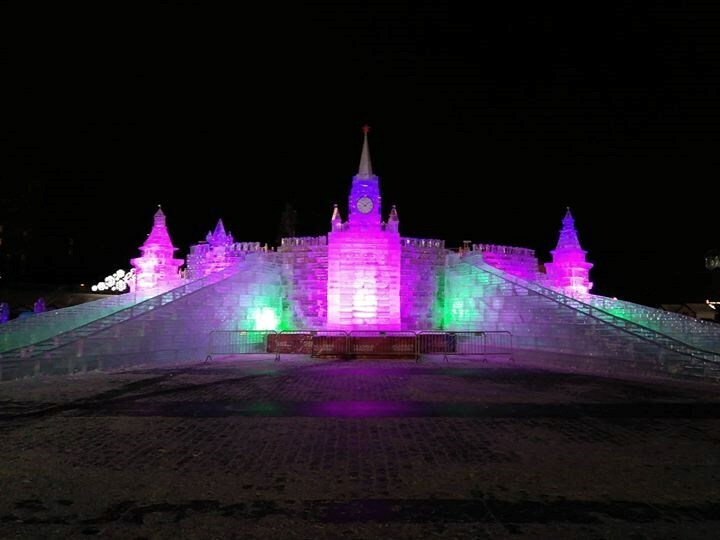 The statues were 5-6 metres high and together they formed an ice city completely made from real Siberian ice. 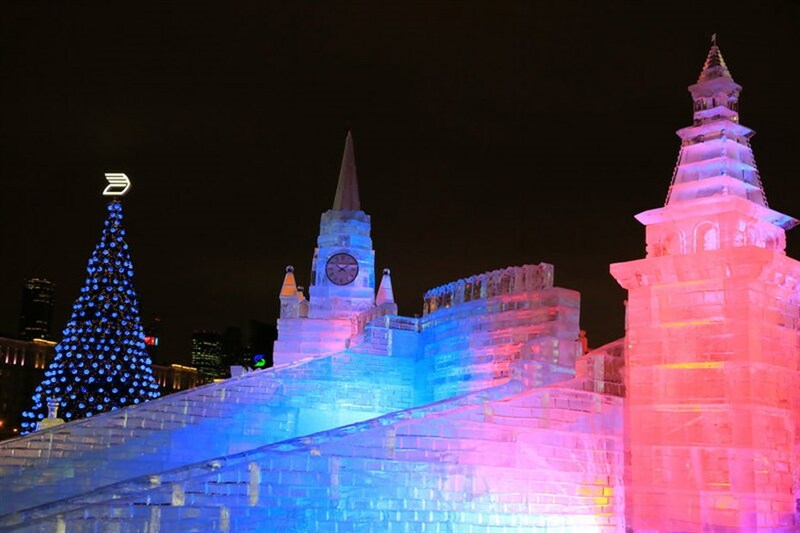 More than 1,000 tonnes of natural blue ice had been shipped in for the construction. 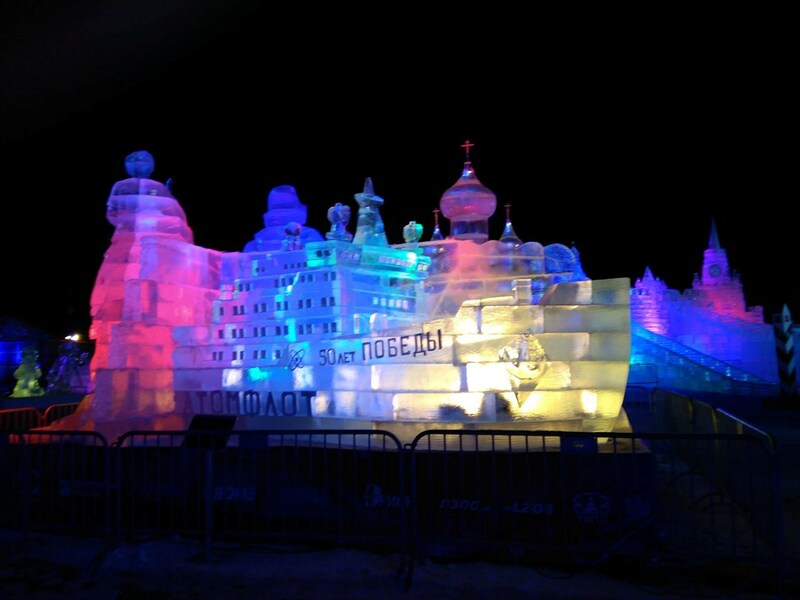 The Kremlin fortress, which was no less than 10m high and 40 m long, was the centerpiece of the ice city. From six slides descending from the Kremlin wall, visitors could glide their way down to the different regions of Russia. 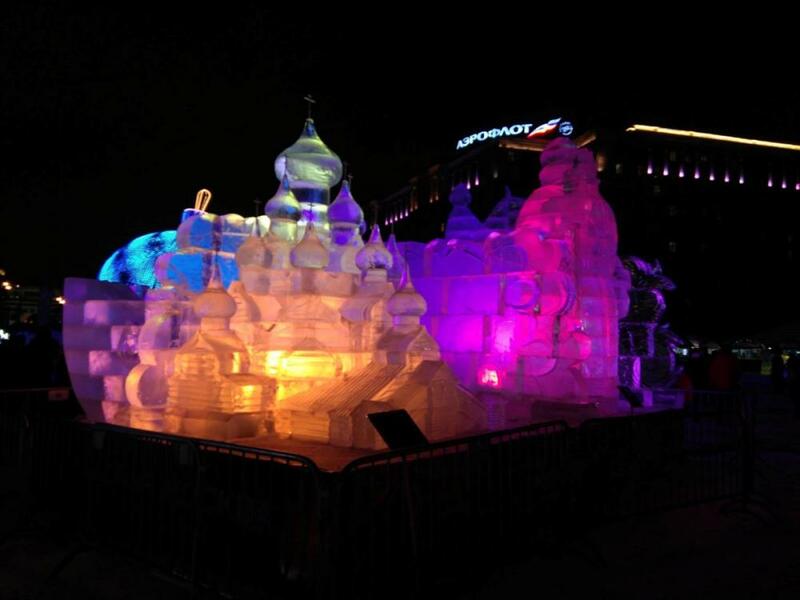 Besides the lighting setup for ice sculptures, there were also applied 20 pcs. of P-5 and 10 pcs. of Q-7 on a stage that was used for different entertainment features from December 28 – January 8. This was undertaken by rental company Spin Music Service. By popular request, the well-attended festival was extended until January 29, 2017. Recently, the iconic band Russian band DDT from the 80’s performed for a big audience in the Olympic Hall in Moscow. 69 pcs. 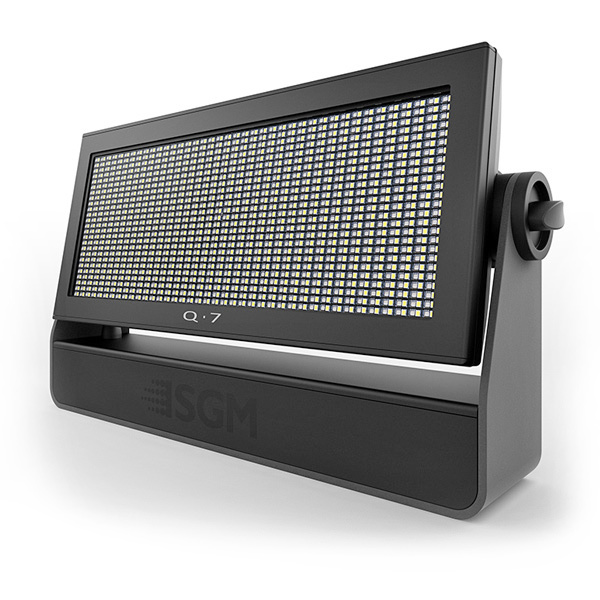 of P-5 wash lights were implemented into the stage design and ensured deeply saturated colors for the show. For the long-awaited inauguration of the Elbphilharmonie concert hall located on the harbour-side in Hamburg, a massive light and video setup was installed. It all culminated with a spectacular show in the evening of January 11. As a crucial part of this show, no less than 500 pcs. 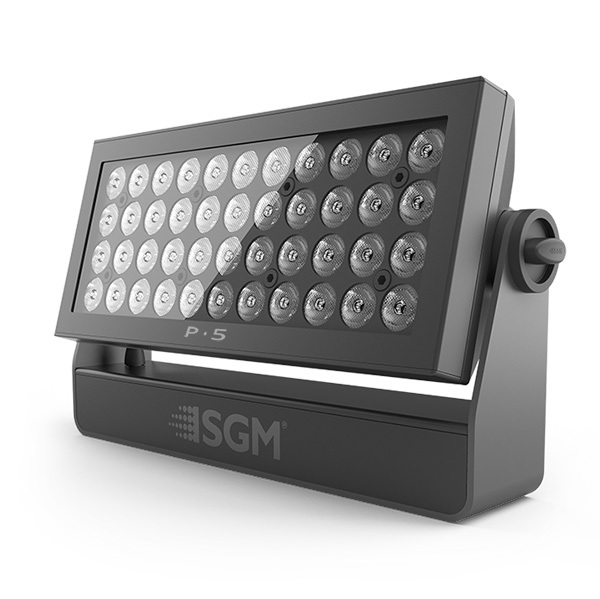 of P-5 and P-2 wash lights from SGM were applied. Hamburg’s new concert hall is one of the largest and most acoustically advanced in the world. It is popularly nicknamed Elphi. The 108 metres/354 ft. tall building consist of two sections. The new glassy construction resembles a hoisted sail, water wave or quartz crystal, which is constructed on top of an old warehouse building. A terrace placed in middle, ties the new and the old sections together. This is where most of the P-5s were installed. Furthermore, all balconies on the upper part were also equipped with P-5s. The overall concept was thought-out by the global agency, Jung von Matt. Their task was to visualise the concert taking place inside the opera house on the outside of the building in real-time. Jerry Appelt was the responsible Lighting Designer that ensured that the light was synchronized with the music and video content displayed on the bottom part of the building. The result of all the different elements coming together as whole, truly was a breathtaking experience.